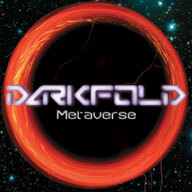 Metaverse, Darkfold's debut album is coming out! Click the image for more info and downloads! Listen to all of Metaverse now!! Click on the album cover to launch pop-up player. We launch it in a separate window so you can navigate around this site (and others) without interupting the music. Read about Darkfold's take on the file-sharing controversy.